Whether it’s your own big day, or you’re planning for a client, get to know all of the hottest predicted trends for 2019/20 spring weddings. The thing with wedding trends is that they evolve year after year – and they take inspiration from everywhere. If the catwalks are full of pastels and florals, you can bet that the spring/summer weddings will be too. And, whilst the trends are constantly evolving, every year brings an opportunity to experiement and add your own perosnal touches. The wedding treends for spring/summer 2019/20 are proving that our previous predictions are correct – with perosnalisation a key factor. From bespoke invitation suites to textures and DIY and eco options, get stuck into our roundup of what’s coming. Looking for top quality products, handpicked papers and finishes like Foiling? 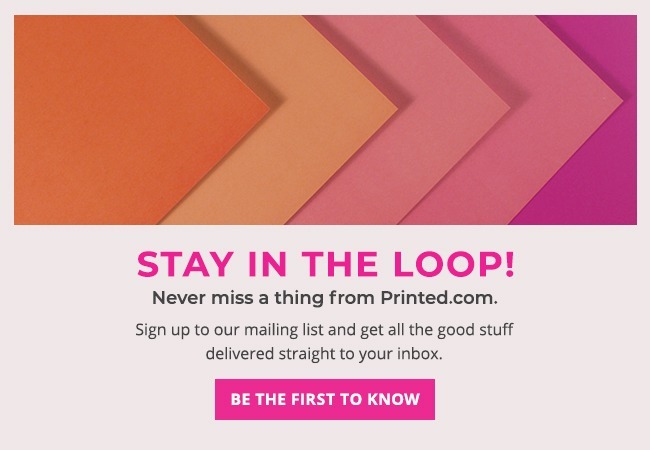 Head to the Printed.com Wedding Print Boutique to find everything you need, and loads of tips and advice to help you create stunning stationery. The wedding favour is an essential part of the big day – it’s a memento or reminder of a special day – but it’s easy for costs to creep up. 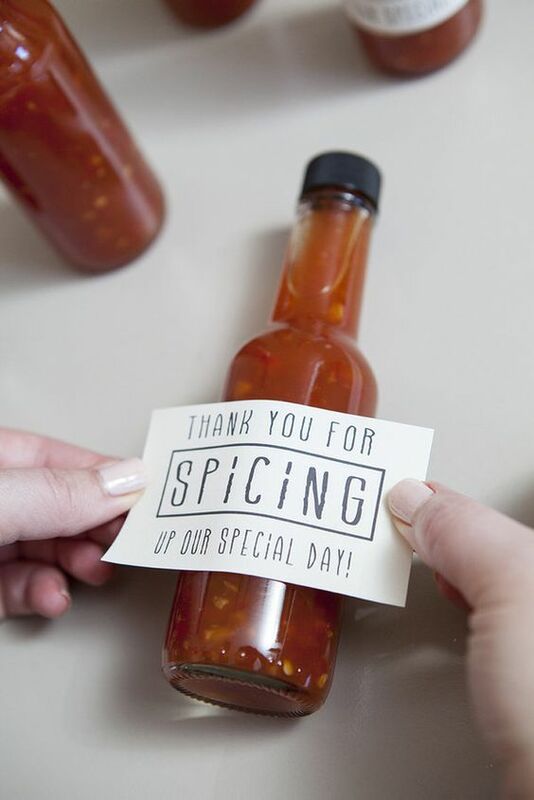 DIY Wedding Favours are a huge trend – and if you’re wondering how, take a look at our blog! It’s full of DIY Wedding Favour Inspiration. From 23,000 searches on ‘laser cut wedding invitations’ to a 105% increase in the hunt for ‘velvet items’, there has been a huge uplift in the search of unexpected textures for the big day. At Printed.com, we specialise in luxury papers, so if you’re not quite ready for a velvet wedding dress, why not add a touch of texture to your stationery suites? From the ever poplar Italian Gesso paper to the woven feel of Rives Shetland and the ethereal magic of Vellum, there’s something for everyone. Living Coral (Pantone’s colour of the year) is still, well, living on. 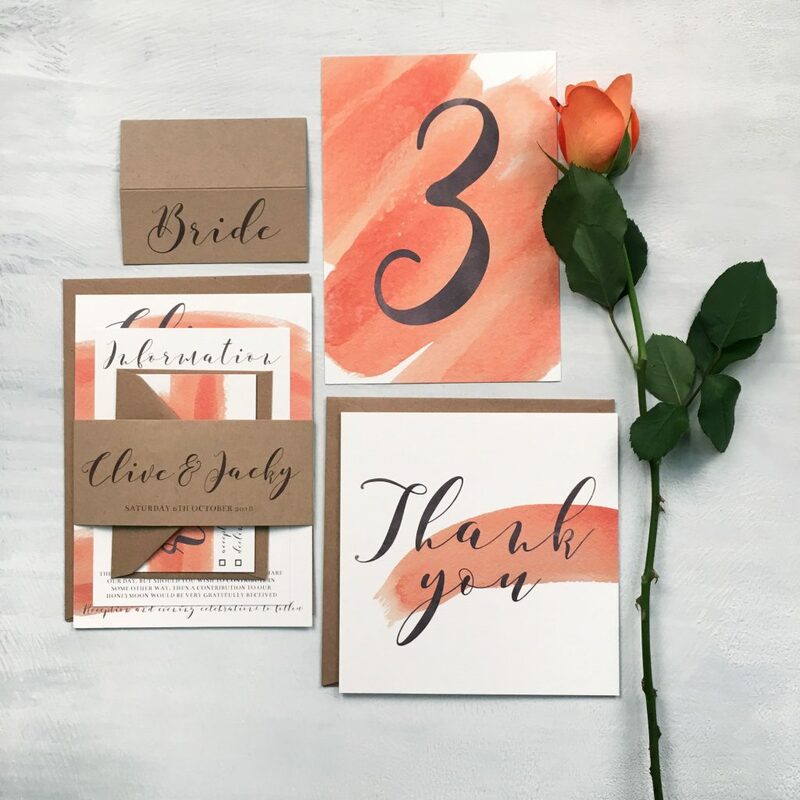 From bright, bold coral hued bridesmaid dresses to floral arrangements and Wedding Stationery, this bright hue makes the ideal partner for sunny wedding days. Minimalists can rejoice because 2019 heralds the return of classic designs and simple styles. Due in part to Meghan Markle and her elegant, traditional Wedding Dress, understated elegance is back with a bang. But it’s not just the dress that’s getting a traditional makeover. 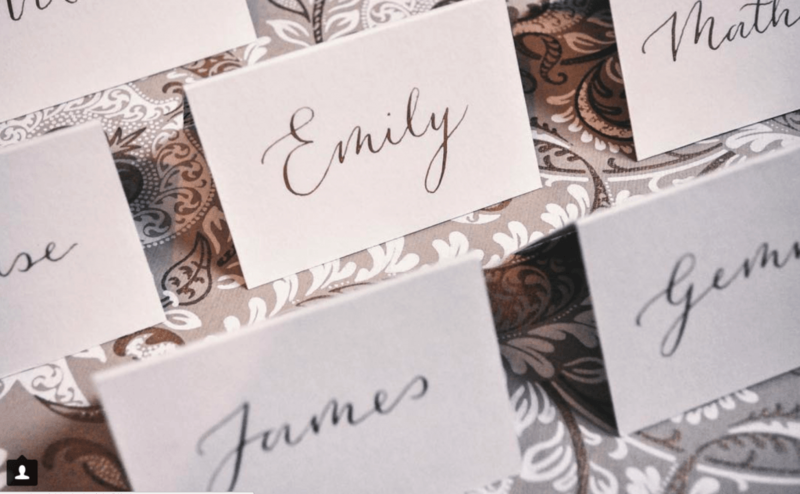 We’re seeing a huge rise in traditional styles of stationery, from hand-calligraphy to the ultimate rise of the serif font. For 2019 weddings, greenery continues to be a classic go-to shade, with flowers and foliage becoming more organic and lush. It’s less about the roses and flowers, more about grasses, foliage and palm prints. From recycled wedding Invites to sustainable and eco-friendly favours, the need to be eco-conscious is ever present. 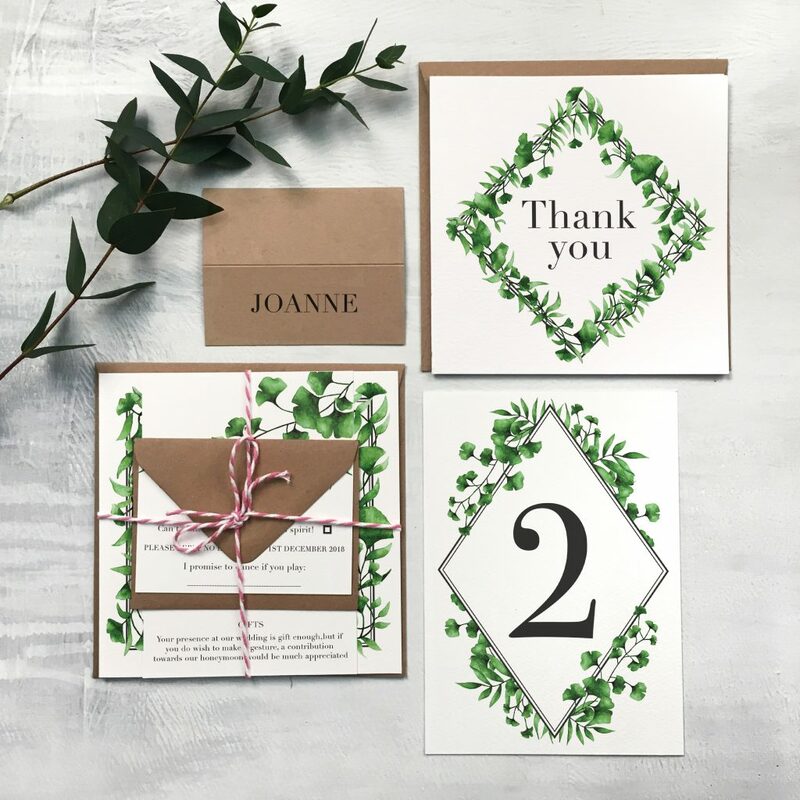 If you’re looking to create a eco-friendly wedding, think about how you can up cycle elements of the day – for example by reusing your flowers from your ceremony to your evening, printing on recycled paper stocks and crafting table centrepieces and place settings that double up as favours. 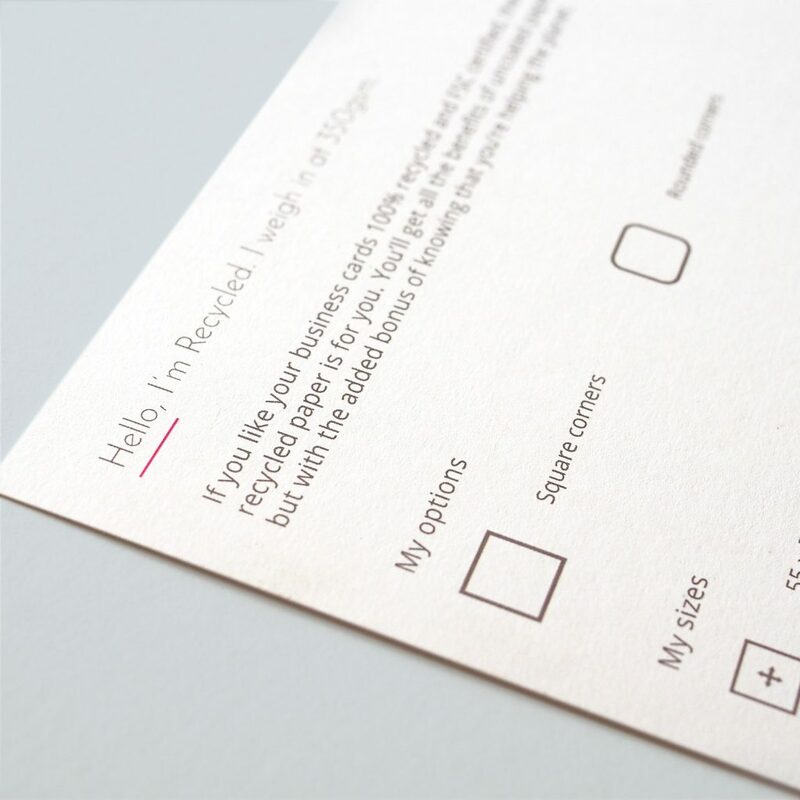 With wedding invitations being one of the few forms of mail we receive these days, it’s important to get them right. We’re seeing a huge rise in illustrated Wedding Invites for the personal touch. 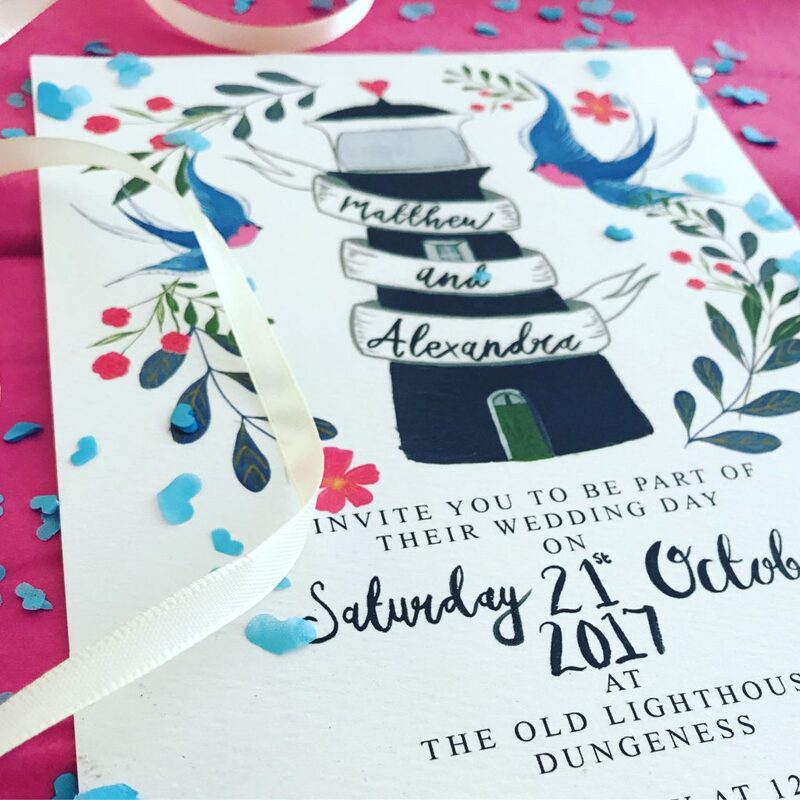 It’s popular for illustrations to be used throughout a wedding stationery suite and can even be used as a unifying narrative throughout the décor, especially if your wedding venue is an interesting one, like the lighthouse used in Little Paper Garden’s invites, above. 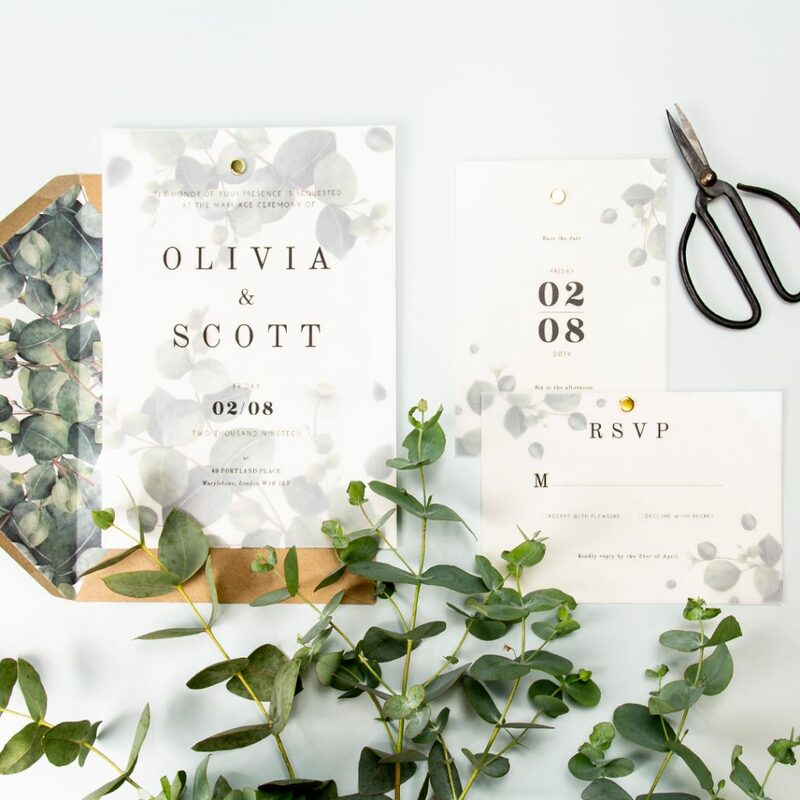 Are you using any of these trends in your stationery suites? We’d love to see. Tag us in your wedding creations using #ProudlyPrinted! And don’t forget to follow us to get even more great tips, advice and inspiration.